Surf Coast Hell Run 2017 | JustRunLah! 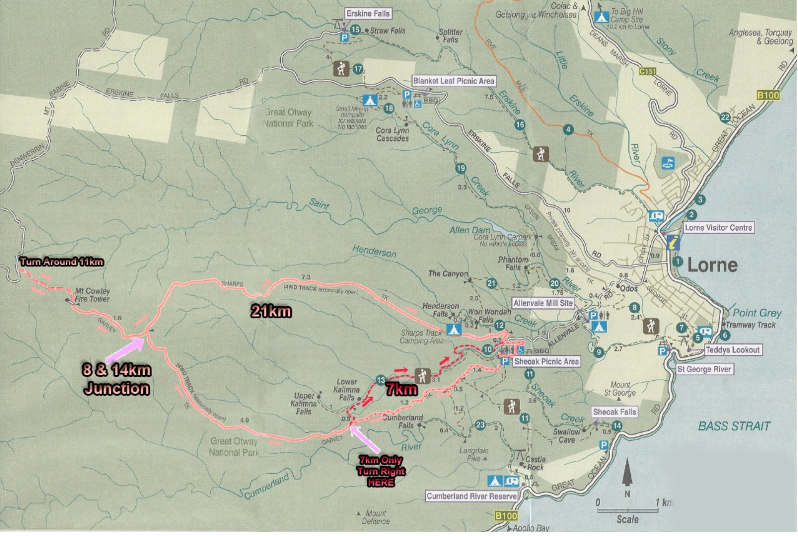 Surf Coast Hell Run is the newest mountain trail run on the Trailsplus calendar. Aptly named for the burning sensation your quad mucles will experience during the 1st, 2nd or 3rd descent depending on your chosen event. The course is set in the majestic mountains at the back of the Seaside coastal town of Lorne along the great ocean road. It offers incredibly beautiful scenic mountain trails with challenging ascents for the first half on the easy to navigate teardrop shape course. Then the fun and fire begin as the speed increases and the breaking effects of the quad muscles start to glow red hot. Of course you could take the easy option and cruise on down but why not attack the long downhill section having endured the initial half of climbing to get there. The race will consist of a 7km, a 21km, a 42km and a 63km event.